The Association of Caribbean States (ACS)—a multilateral organisation that the Caribbean Community (CARICOM) conceptualized and helped bring into existence some 25 years ago – concluded its eighth Heads of Government Summit in Managua, Nicaragua on the 29th of March 2019, with the adoption of the historic “Declaration of Managua” and the confirmation of a visionary three-year “Plan of Action”. The 25 Member States of the ACS – 14 CARICOM nations, along with Cuba, Dominican Republic, Venezuela, Colombia, Mexico, Costa Rica, El Salvador, Guatemala, Honduras, Nicaragua and Panama – sent the world a most remarkable message of hope and commitment to human solidarity with their “Declaration of Managua” affirmations on such critical issues as climate change, respect for the fundamental principles of International Law, the maintenance of the Greater Caribbean as a “Zone of Peace”, and the payment of reparations for the crimes of native genocide and African enslavement. It is noteworthy that the delegation heads of such countries as Cuba (President Miguel Diaz-Canel), Nicaragua (President Daniel Ortega), El Salvador (President Salvador Sanchez Ceren), Venezuela (Vice-President Aristobulo Isturiz), Trinidad & Tobago (Minister Dennis Moses), Barbados (Minister Jerome Walcott), Grenada (Minister Peter David), St. Lucia (Minister Sarah Flood-Beaubrun), Suriname (Minister Yldiz Pollack-Beighle), and Guyana (Ambassador Halim Majeed) were able to join together with the delegation heads of such “Lima Group” nations as Colombia, Costa Rica, Panama, Guatemala and Honduras to declare – at paragraph 22 of the Declaration of Managua—that they “reject the application of coercive unilateral measures that are contrary to international law, and that harm the peace and prosperity of the Greater Caribbean”. Can peace be maintained in the Caribbean region? The adoption in Managua of the “2019—2021 Plan of Action” also reconfirmed the tremendous foresight manifested way back in 1992 by Sir Shridath Ramphal and his fellow Commissioners of the “West Indian Commission”, when they proposed that CARICOM take the initiative to establish a Caribbean Basin-wide “Association of Caribbean States” as a mechanism for a broader and more extensive “Greater Caribbean” circle of functional cooperation. 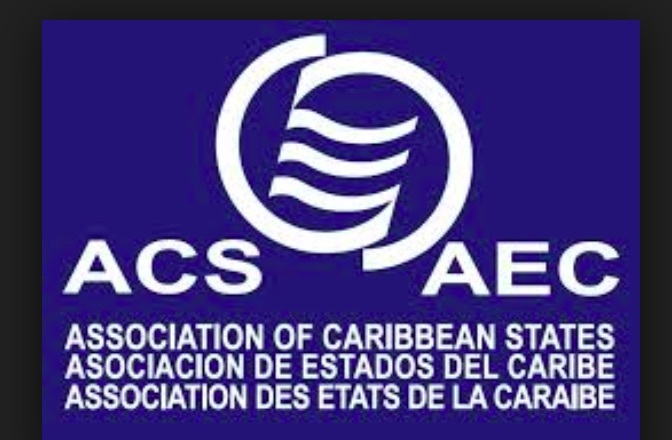 The ACS “2019-2021 Plan of Action” constitutes a blueprint for a range of valuable initiatives and projects in the spheres of Sustainable Tourism, Regional Trade and External Economic Relations, Regional Air and Maritime Transportation, Regional Disaster Risk Reduction, matters pertaining to the Caribbean Sea, and initiatives in the fields of Culture, Education and Sports. The triennial Plan of Action is extremely wide-ranging, and it will now be left up to the Executive Board of the ACS’ Ministerial Council, under the Chairmanship of Barbados, to confer with ACS Secretary General Dr June Soomer, and other officers of the ACS Secretariat located in Trinidad & Tobago, to establish priority projects and implementation modalities. The ACS will be celebrating its 25th anniversary on the 24th of July 2019, and in his remarks to the assembled Heads of Government at the Summit, the incoming Chairman of the governing Ministerial Council, Dr the Hon. Jerome Walcott of Barbados, urged all ACS Member States and Associated Member States to undertake celebrations of the “silver anniversary” that are thoughtfully designed to forcefully bring the existence and achievements of the ACS to the attention and consciousness of the masses of people throughout our region of the Greater Caribbean.